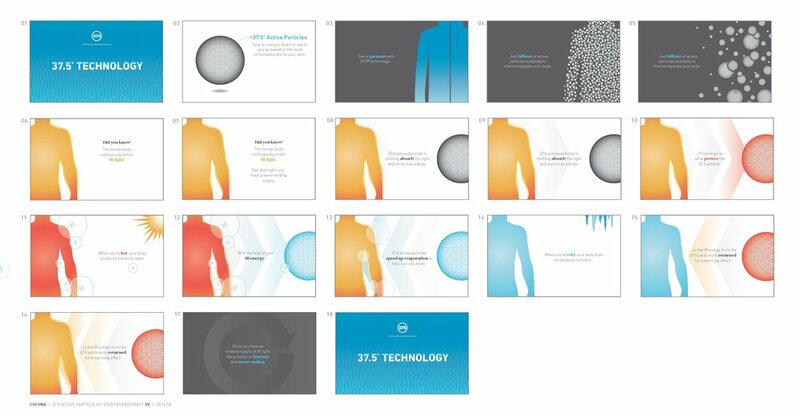 Working directly with the EVP of Global Marketing & Sales at 37.5 Technology, we developed a GIF to illustrate how the 37.5 technology works for future partner brands. The artwork was developed in Illustrator while the GIF was assembled and edited in Photoshop. A Japanese version has also been created.